Congratulations to all of the athletes who will be competing in the USATF Region 2 XC Championships on November 23, 2014! We hope that you enjoy Hershey and wish you the best of luck. 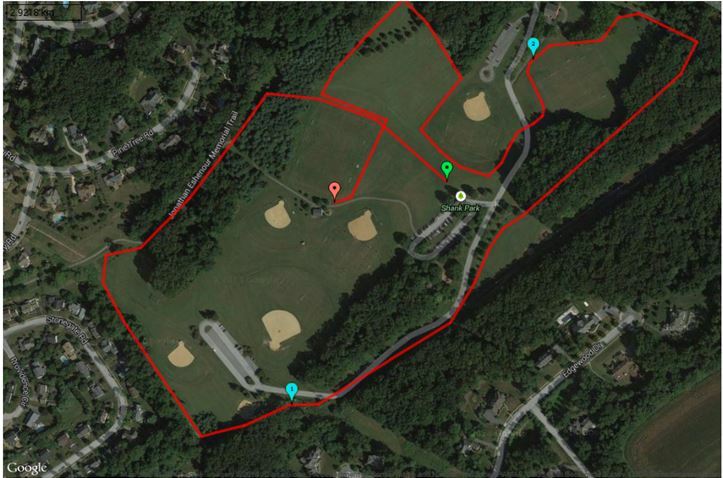 We are delighted that this year's Region 2 XC Championships will be hosted in what we all know as the "Sweetest Place on Earth!" While Hershey is known for its Amusement Park, Chocolate World and the entire Hershey Entertainment collection, we are also an amazing community of people. We have the benefit of having many beautiful parks to run and play in and excited to share Shank Park with you on November 23rd for this big meet. Below are screenshots of the courses. Please note that they may not be spot on what you will see on the day of the meet but they maps provide a general sense of the courses that are laid out. For the 4K and 5K courses, you will see a double line on the maps. 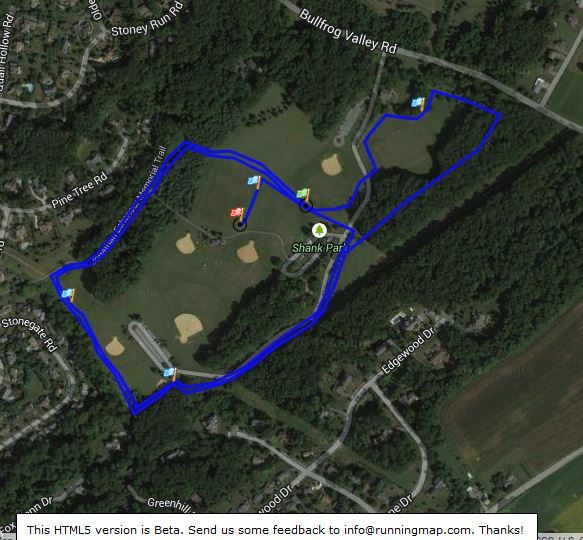 This means that the runners will run those areas twice to make up the distance. 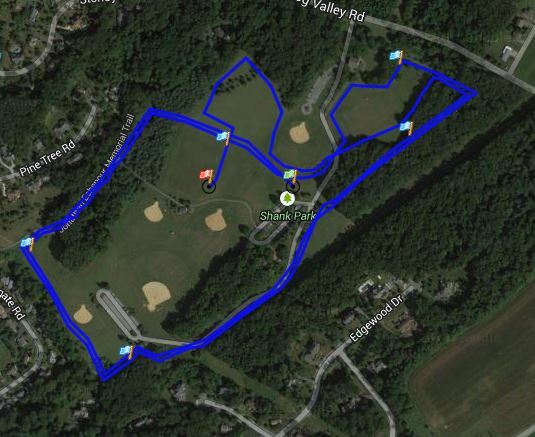 The courses will be marked with a different color to show the directions of the second route where different from the first. Marshals will also be on hand to directs the runners. As you can imagine, parking will become very tight as there is limited parking at Shank. We are working to secure an overflow lot just a 1/2 mile from the park. We want to urge teams, where possible, to arrange for car pooling from your hotel or from overflow. Once the meet starts, we want to be sure that the kids running across the roads are safe as well. More information should be available soon regarding parking. The Hershey Blaze Track Club will be sponsoring a concessions stand for the Region 2 XC Championships. Look for us at the in the center of the park by the playground. Port-a-potties will be on hand for the meet as the park restrooms have been closed for the winter. We've all been fortunate to have this grand opportunity to compete in track and field and cross country. One way to show our appreciation is to serve and give to others less fortunate. Please consider donating to our holiday food drive while here in Hershey. Click Here to download our food drive flier. For those coming in for the weekend, Hershey Park is open and we want to encourage you to take your well deserved athletes to enjoy the rides and fun. The Park ticket prices are $12 and you can even get a discount for Groups! Sweet lights is also open at night and you can drive through and enjoy the amazing display from the comforts of your car!